Joseph Ruben is the man in the director’s chair for brilliant new action-packed drama, The Ottoman Lieutenant. 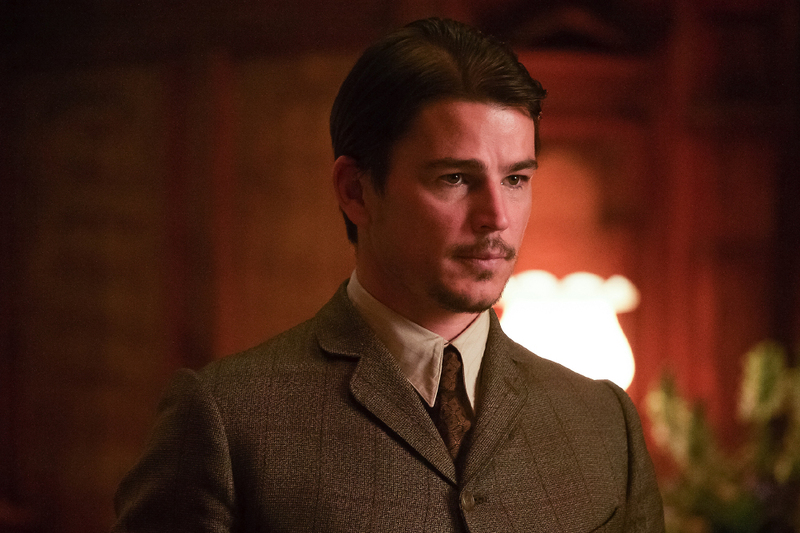 Starring Ben Kingsley, Josh Hartnett, Michiel Huisman and Hera Hilmar, the film is a star-studded affair that tells the wartime story of a strong-willed woman named Lillie (Hilmar), who leaves America after meeting American doctor Jude (Hartnett) who runs a remote medical mission within the Ottoman Empire. Honestly, this movie came to me in the regular fashion. My agent sent me the script, said the director Joe Ruben would like to talk to you, and then the movie all came together very quickly. He asked if we could have a Skype meeting, then we had subsequent meetings about the character and that’s what drew me to the character. The fact that Joe and I could collaborate and expand on the character. That’s always exciting to me because then you can bend yourself into the character, the character starts becoming a part of you and then you become the character. Joe was also a big reason because he was so open and warm, also very specific about what he liked but was able to allow me to bring my own spin into it. What was it about the character that resonated with you? I like Jude because he was not your typical character, as far as most of the characters that are sent to me. Jude doesn’t get the girl. Jude is known for and prides himself from being a moral person. He’s not a bad boy, he’s not a heart throb, and he’s a man on the edge of his known existence. Doing what he feels is morally correct and living in a world that is chaotic at best. I loved that he was so driven by his ideas, that he was a person that respected concepts, that enjoys the simplicity that’s so far removed from what he understands. I think that Jude is not necessarily running away from the U.S., but once he left the U.S. that simple way of life is what suits him. Because he was allowed to be much more human out there, in the civilisation that he knew. I just admire a guy like this. Can you tell us about Jude’s relationship with Lillie and Ismail? Michiel Huisman’s character Ismail doesn’t have any real ambitions at the beginning but he is charming enough, and they (Ismail and Lillie) find themselves on an adventure as they travel towards Van (Turkey). And during that time, circumstances being what they were, they fall in love. Love is about timing. In my opinion, love is about the circumstances that surround it, and unfortunately for Jude he never gets a chance. By the time she’s arrived in Van, it doesn’t matter how great he is, she’s already smitten with another guy. And it doesn’t matter how wrong he is, she’s still smitten with him. So the story really revolves around Lillie dealing with that incongruity in her own concept of love, and finding out for herself and what it really is. And unfortunately for Jude, that brings him from a place of peace, tranquillity and a sense of assurity about what he does with his life and what he means to the people around him. The opposite to Ismail who comes from a place of chaos, a place of anger and potential place of homicidal rage. So it’s not a good story for Jude. Can you share how you developed your character (Jude)? I thought a man who was well-educated coming from New England and educated in the late 1800s would have spoken with a Mid-Atlantic accent. I also think the development of Jude had to do with the way he expresses himself. And this contributes to the voice and structure of the character. I think that Jude thinks before he speaks because he is an introvert, ultimately. He sort of plans everything he says, and his sentences are very thought out. Rarely, does Jude find himself mid-sentence, not knowing where the sentence is going to end. From my perspective that’s completely unusual because I’m someone who likes to ramble. I wanted to portray every aspect of Jude as soft. And this was done by softening up his physical appearance, especially through his clothing and hairstyle. Jude is a guy who doesn’t really care about his appearance on a day-to-day basis. He’s a surgeon and he’s meant to comfort and give peace to those who can’t be comforted. Jude needed to be portrayed as compassionate and intelligent, and the way he speaks and dresses really contributes to that.